Opensource and open development where everyone can join. Nonprofit - FluffyChat is donation funded. 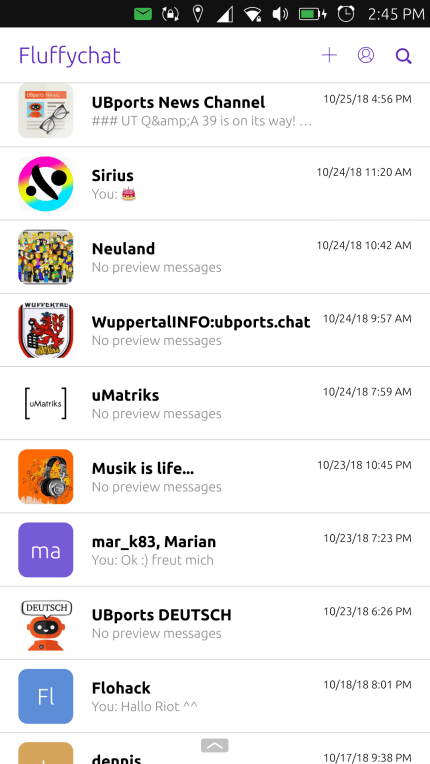 Cute design and many theme settings including a dark mode. 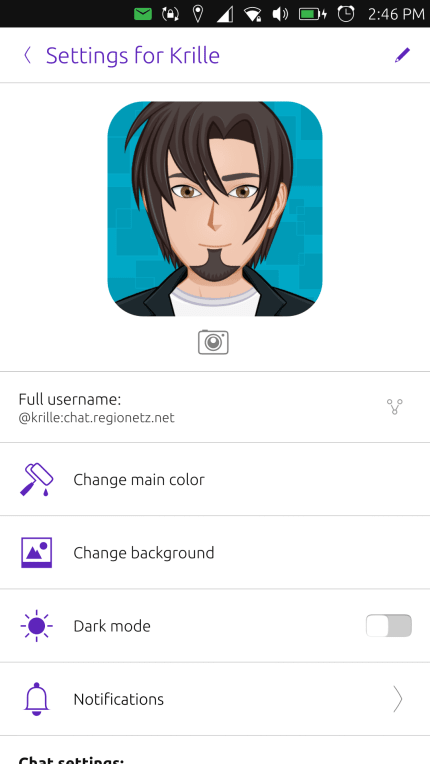 Unlimited groups and direct chats. 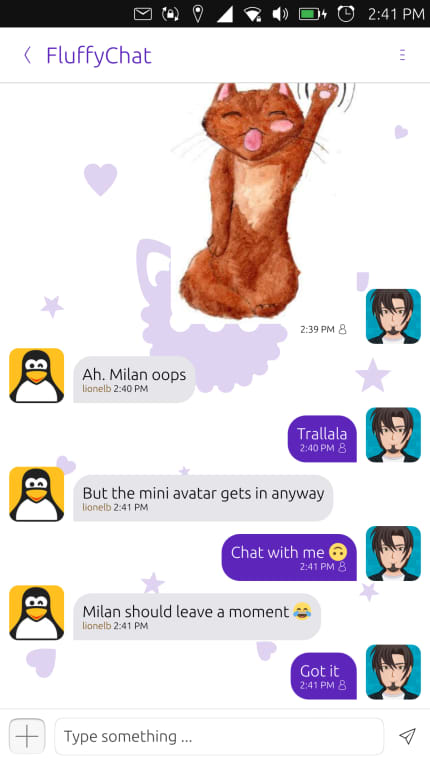 FluffyChat is made as simple to use as possible. Free to use for everyone without ads. 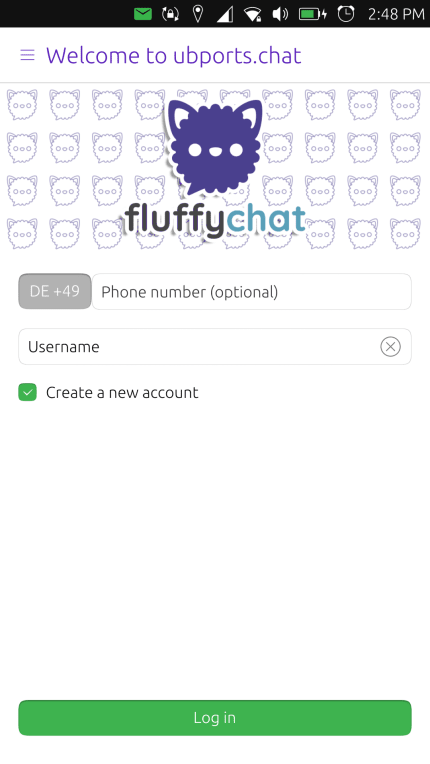 FluffyChat can use your addressbook to find your friends or you can use usernames. 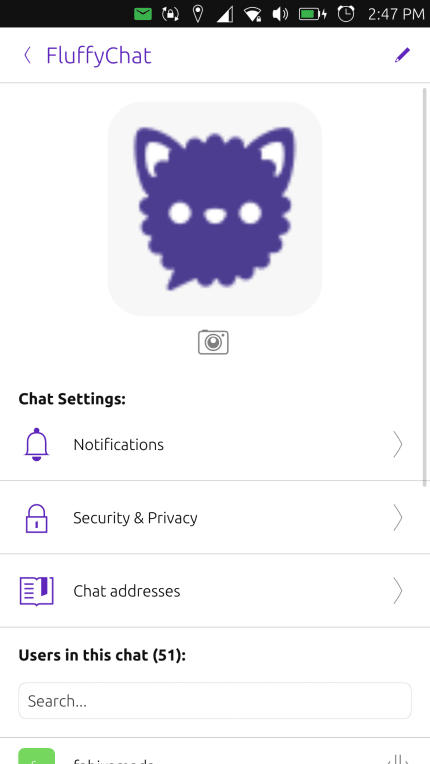 There is no "FluffyChat server" you are forced to use. Use the server you find trustworthy or host your own. Compatible with Riot, Fractal, Nekho and all matrix messengers.